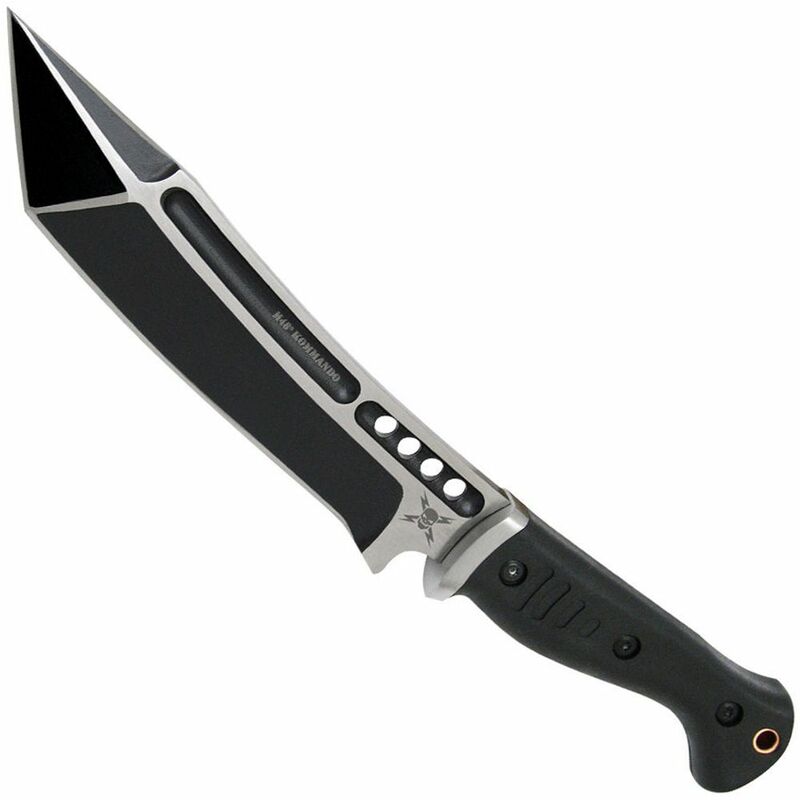 You'll swear you have a machete in your hand when wielding the United Cutlery M48 Sabotage Fighter Knife. This hefty blade is made from 2Cr13 stainless steel and features a matte bead-blasted black oxide finish. 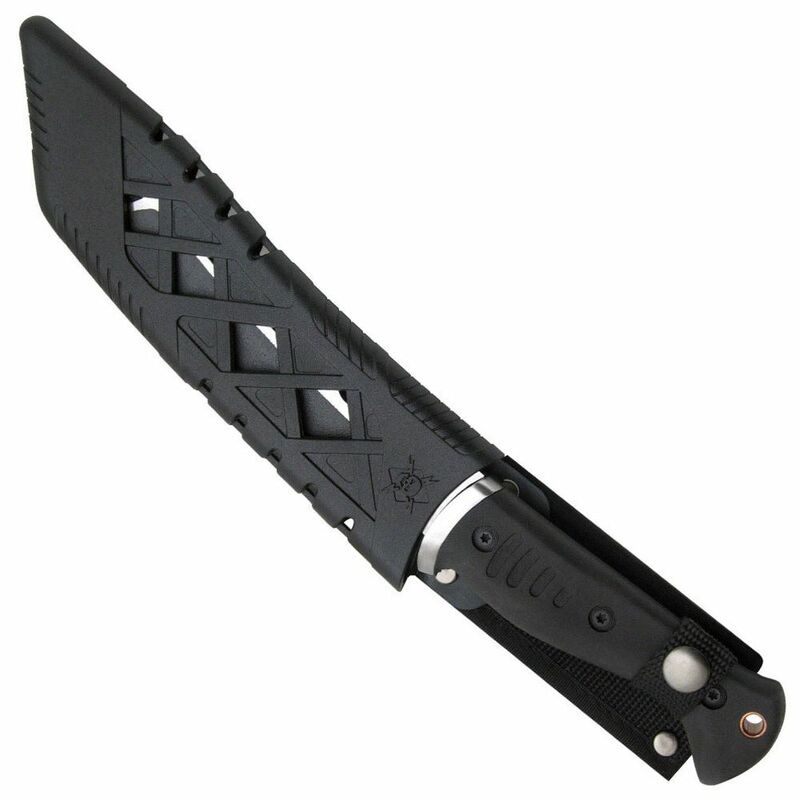 An injection-molded TPR handle provides a firm and supportive grip to help guide this fixed blade.